Alaska, being one of the last frontiers in the US, also has one of the most freedoms when it comes to gun laws. 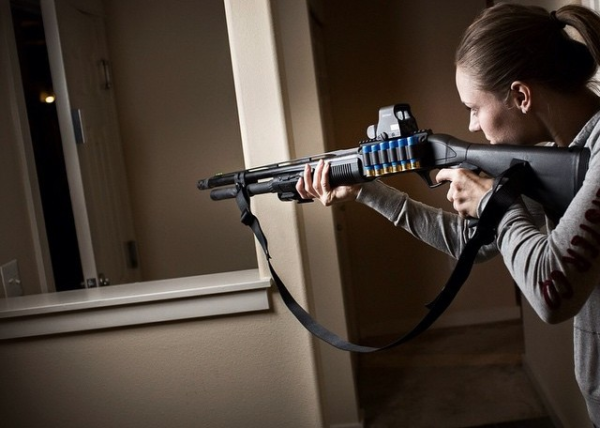 Read on to find out all the laws on how to buy, and when to use the firearm of your choice! The flag of the free state of Alaska. In Alaska, it’s almost a crime NOT to have a gun. The last thing you want to do is run into a bear on a hike (or on your way to the store) with no way to defend yourself. There is no permit required to buy a handgun in Alaska, but there are a few requirements. If you’re buying the handgun from a licensed gun dealer, you’ll also have to submit to an instant background check. If you are purchasing a handgun from a private individual, you can save even more time, since a private gun purchase does not require the background check. Other than black powder guns, Alaska gun laws do not address other types of antique firearms in the purchasing exceptions. Because of this, you must follow the same standard laws of purchasing firearms when dealing with non-black powder antique firearms. You must be 18 or older to buy a handgun, but you can own a handgun as soon as you turn 16. With a parent or guardian’s permission, anyone under 16 can also own a handgun (so be nice to your parents!). 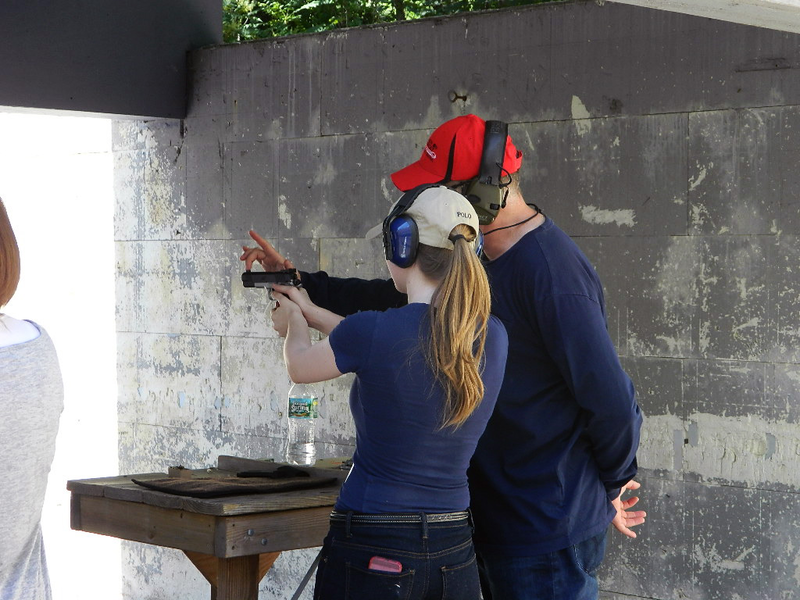 Training a teenager to shoot a handgun. Don’t Forget About the Long Gun! Once you’ve gotten your handgun, you’ll probably need a long gun to keep it company! Just like with handguns, no permit is required to buy a long gun in Alaska. One thing to keep in mind is that even though you can use an out-of-state ID to buy a long gun, it must be legal to buy that gun in the state that issued the ID.So if that AR-15 in the gun store is forbidden fruit in the state of New York, you won’t be able to buy it with a New York driver’s license. Just like handguns, a licensed gun dealer will have to perform an instant background check if you purchase from the gun store. Even with all these freedoms, there is something to keep in mind when it comes to long guns. Is That a Handgun in Your Pocket? When it comes to showing off your new gun, Alaska is very lax in how you can carry your handgun. There is no permit required to carry your handgun openly or concealed. But, you must be 21 or older to carry a concealed handgun. Carrying while on a hike. Because there is no permit required to carry a concealed handgun, you will need to separately apply for a CCW permit to show the local police when you travel out of state with your trusty companion. For those of you interested in the nitty gritty details on laws about carrying concealed in Alaska, check out our dedicated CCW section. When driving in your car, you can carry your gun openly or concealed like you normally would. If you leave your firearm in the car though, it must be locked in the car (preferably not in plain view!). Regardless of how you carry your handgun in the car, you must inform law enforcement officers that you are carrying a gun if you are pulled over for any reason. Don’t give them a reason to haul you to jail. Or even worse, confiscate your gun! Being a free state without overbearing gun laws, the same laws for transporting handguns applies to long guns too. Sounds Great! Where Do I Register? 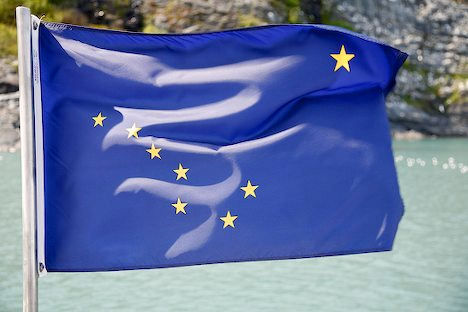 You can’t register your firearms in the state of Alaska. Because you don’t need to! As long as you’re legally allowed to own the firearm, you’re good to go! 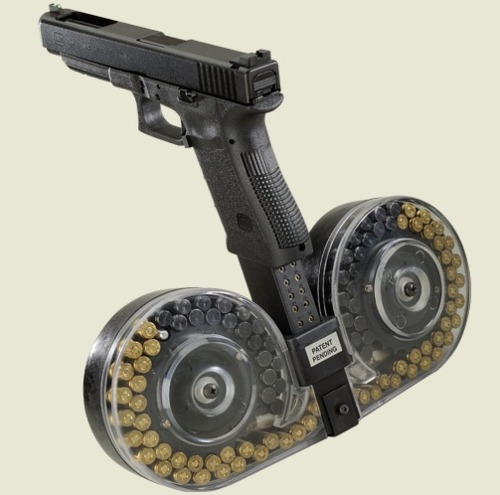 Buy all the standard capacity magazines you want! And maybe some actual high-capacity mags. So When Can I Use My Gun? Aside from defending yourself against wildlife on the hiking trails, Alaska follows the Castle Doctrine, and recently passed a Stand Your Ground statute. With the Stand Your Ground statute, as long as you are someplace you are legally allowed to be (i.e. your house, a restaurant, your office), there is no duty to retreat. Of course, just because you may be legally allowed to use deadly force, that does not mean you must use it. Always use your best judgement to decide if deadly force is absolutely necessary. Now that you’ve got a shiny new gun (or two) by your side, don’t forget to give them a place to sleep at night! Alaska does not have any laws about storing firearms, but for anyone with kids, or just wants to keep their guns somewhere safe, a sturdy safe or inexpensive gun cabinet can be a good option. If for some crazy reason you only own a couple of handguns, this safe can keep them away from sticky fingers.